Hey everyone. 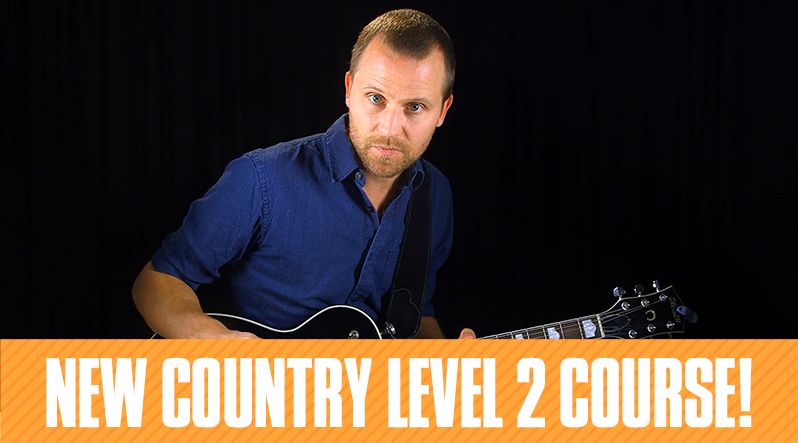 Billy here from Guitar Tricks! 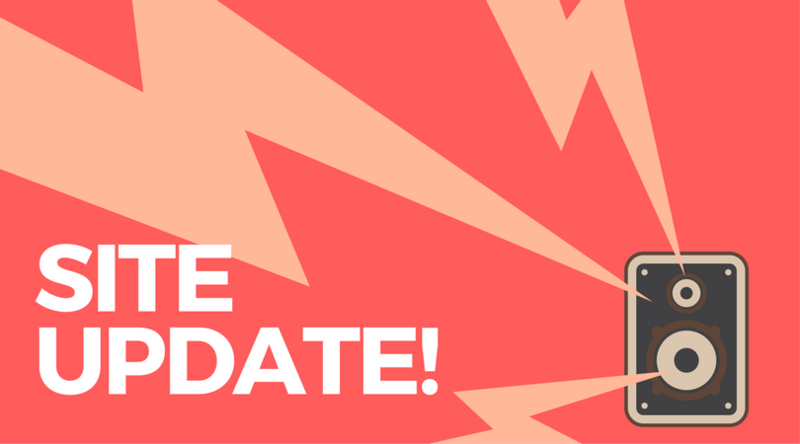 As you may have noticed, we updated our lesson page. You may want to think about the new lesson page as two halves, the top half and the bottom half. The top half houses the lesson video and the notation, while the bottom half has more information like the lesson description, tutorial content and progress, which we recently updated. Here’s how it all works. 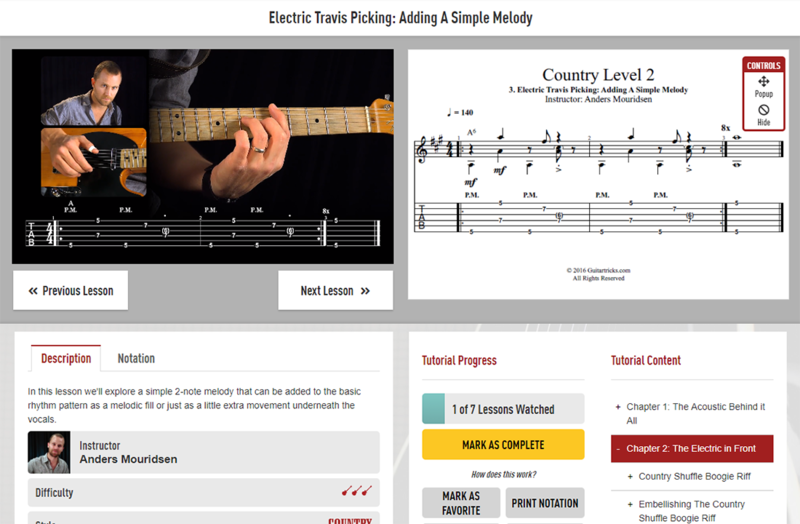 The new lesson page is focused on removing distracting elements and improving the overall learning experience. As you can see, the videos are a lot bigger by default and will expand to fit your screen size. Notation will also be side by side with the video so it’s super easy to follow along with your favorite instructors. The new lesson page works especially well on mobile web browsers and large, high-resolution displays! As mentioned above, notation will show up next to the video by default if the lesson has tabs to show. The notation has some neat features too, like popping them out into a separate window, or hiding them if you only want to focus on the video. These buttons allow you to pop the notation out into a separate window, or hide the notation completely. If you want the notation to sit side by side to the video again, you can always click the button that says “Show Notation,” conveniently located beneath the video and between the “Previous” and “Next” lesson buttons. As you may already know, we’re working on notation that automatically scrolls as you play along with a song lesson. The “Performance” and “Jam Along” song lessons as well as “Single Guitar Performance” currently feature auto-scrolling notation. You’ll know that the notation automatically scrolls if the notation controls show this icon. Use the check box to turn off or turn on auto scrolling. Note: not all of the songs feature auto-scrolling yet. We’re still working on it! All of the tabs below the video are still there like Description, Notation, Lyrics and more. 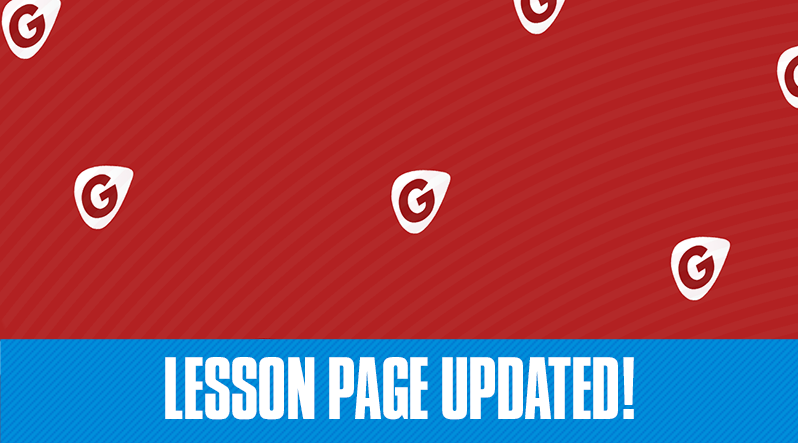 You’ll also notice a button that says Old Lesson Page which will take you to the classic view. For those of you learning with the Core Learning System, you’ll also find the chapters and tutorial content in a familiar place as well. All of these new visual and functional changes also work with varying screen sizes and devices and browsers. 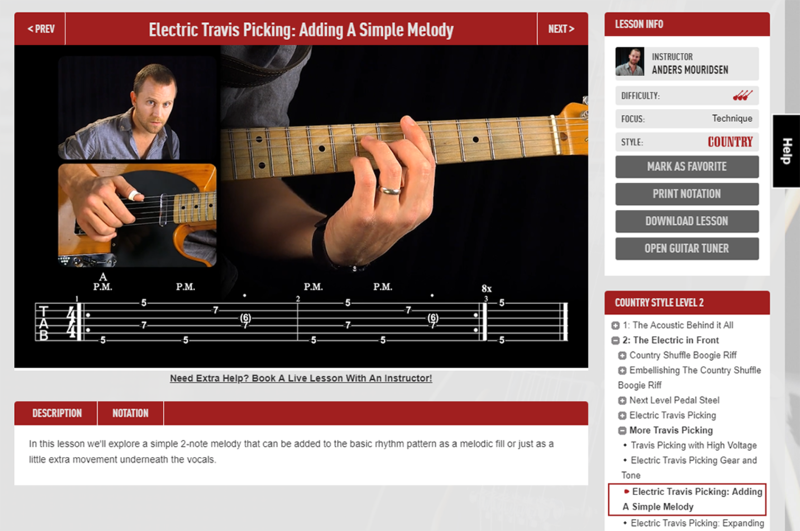 Have you tried the new lesson page yet? We really want to know what you think! Leave a comment below.